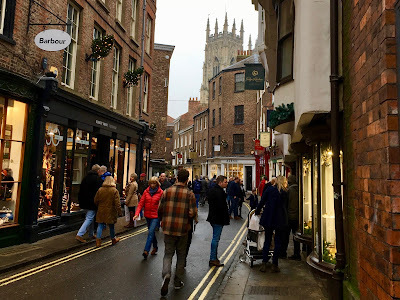 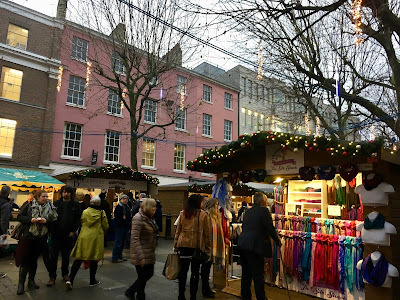 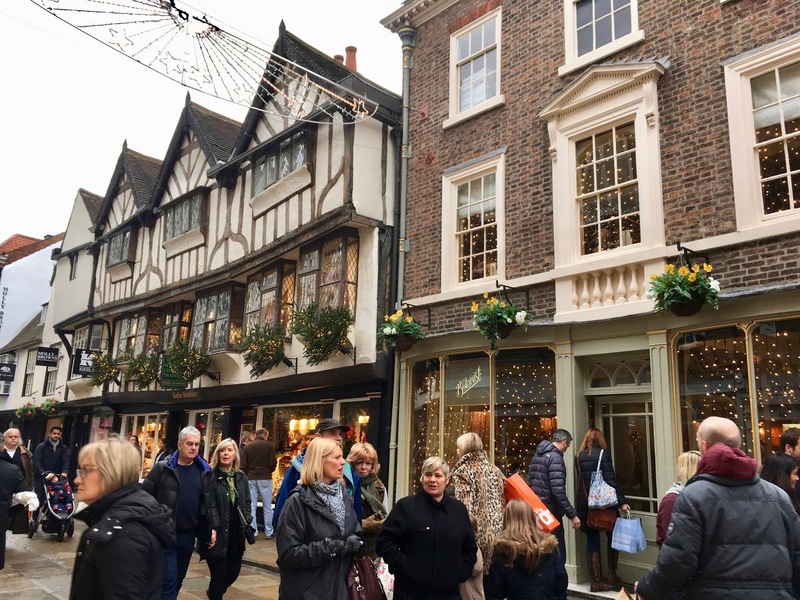 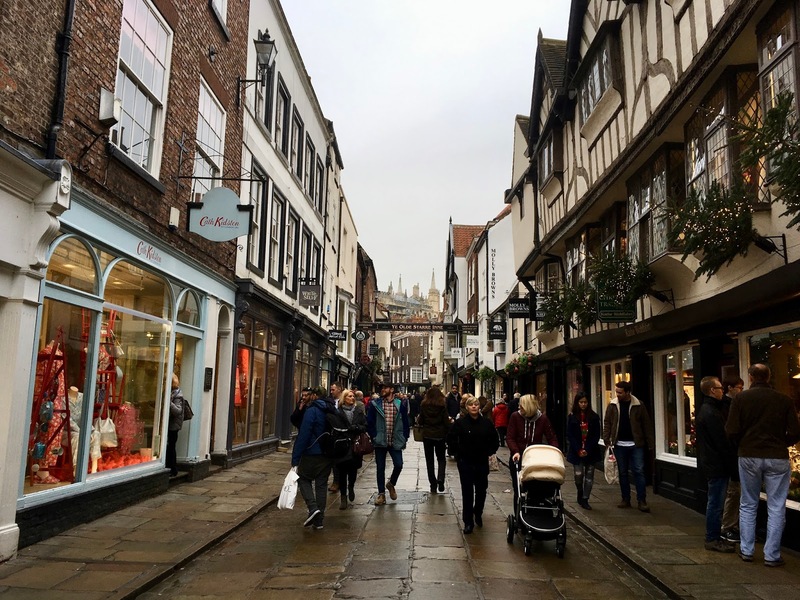 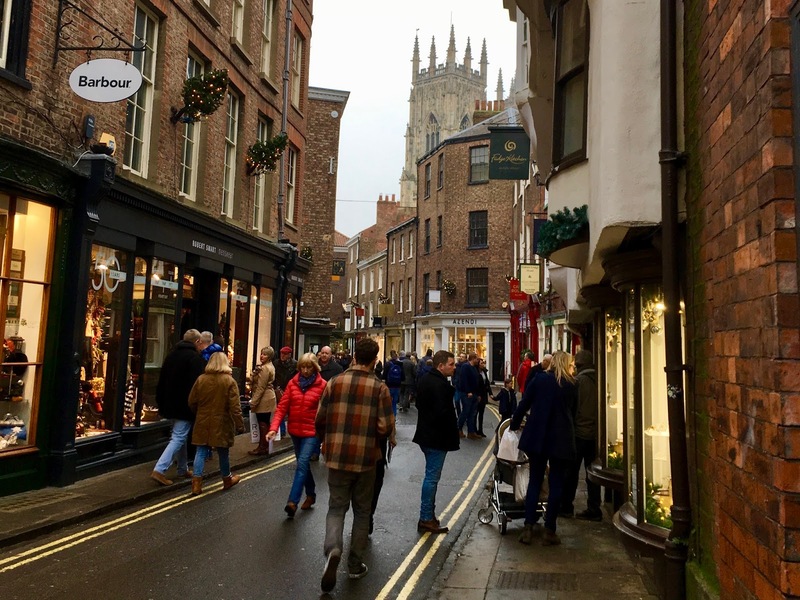 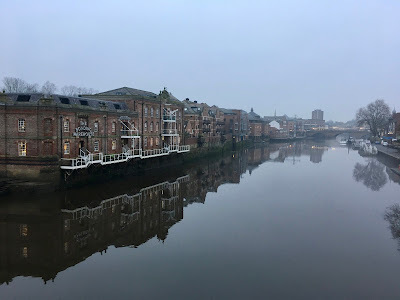 In spite of the dreary weather and short days the town of York was bustling with last minute Christmas shoppers, tourists and locals alike. 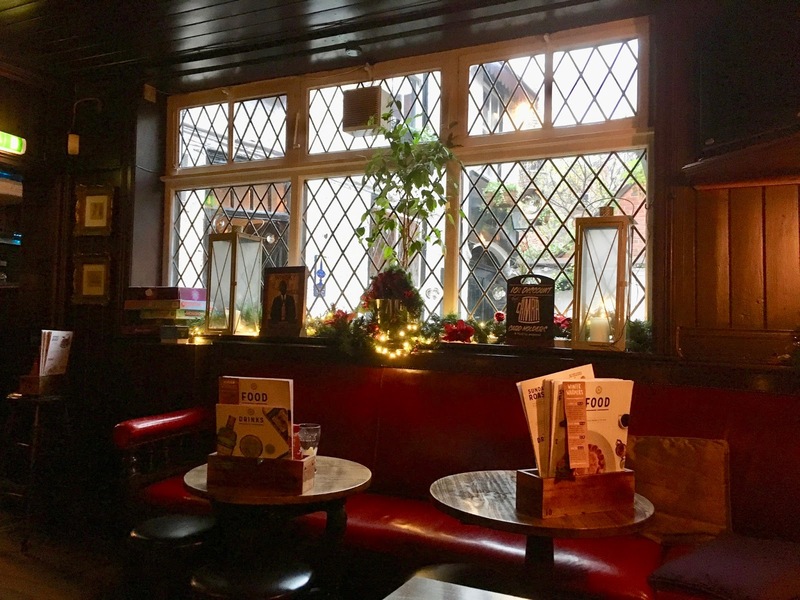 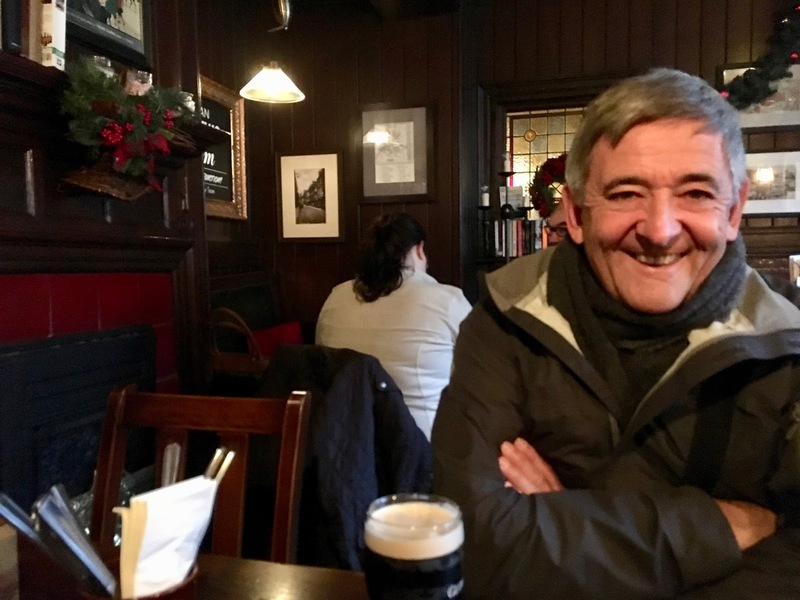 While we were on this street we spotted one of our favourite pubs, Ye Olde Starre Inne and decided to stop for a pint and nibble. 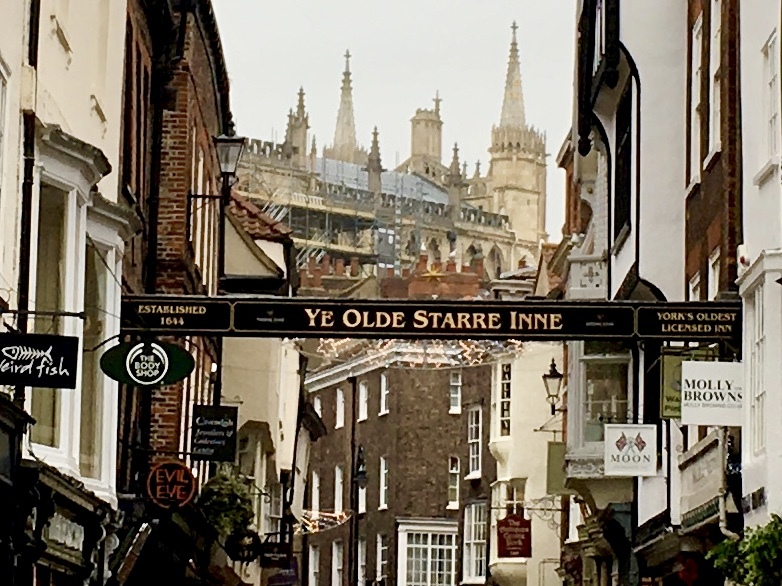 The entrance is just to the left of the wooden archway bearing the pub's name that connects both sides of the street. 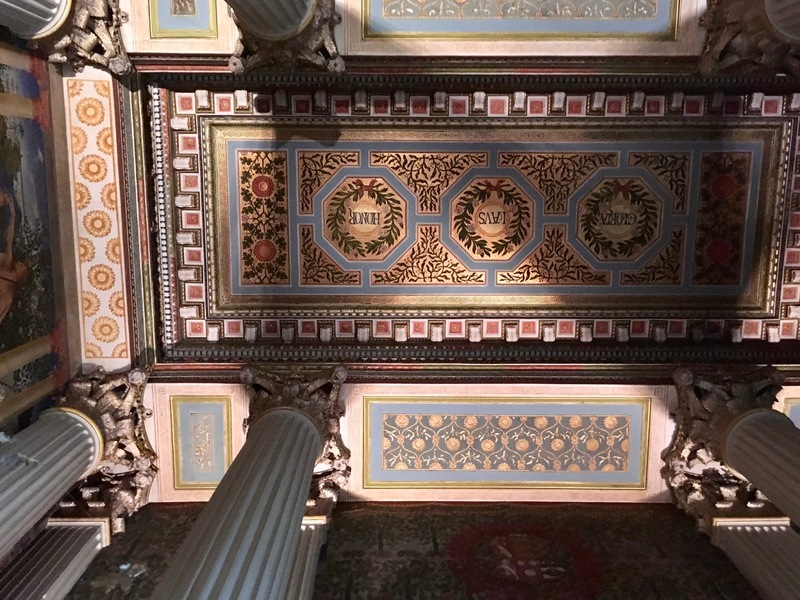 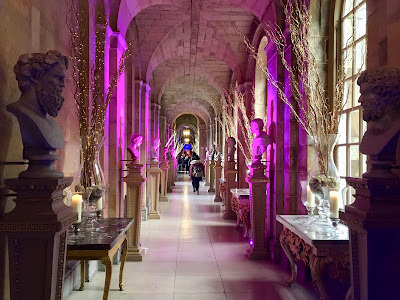 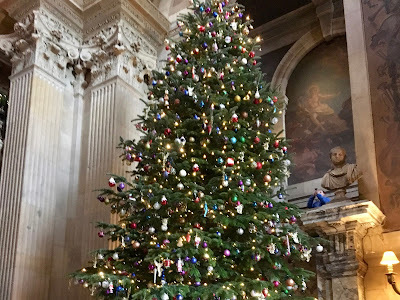 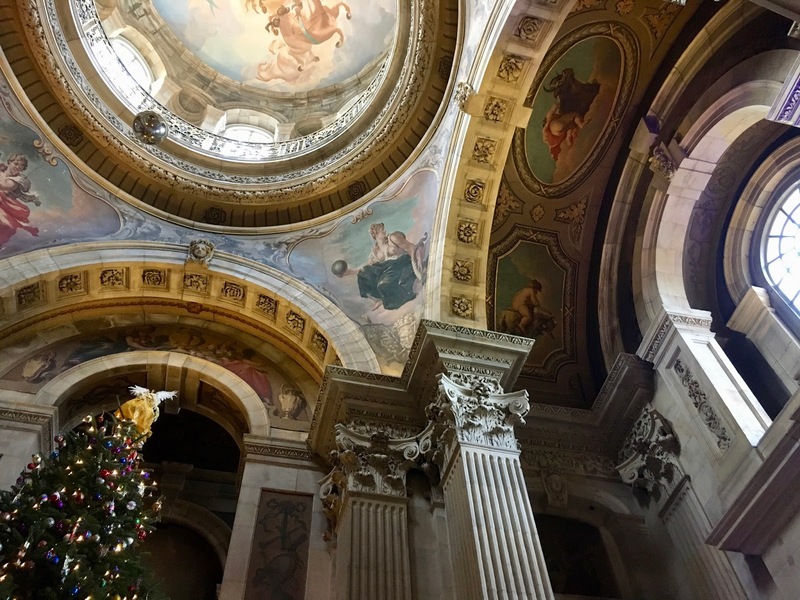 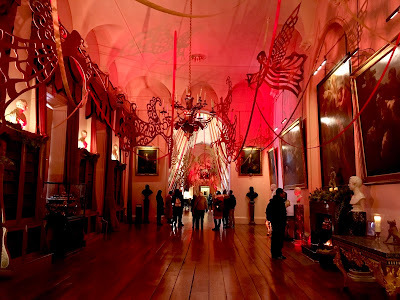 Our main reason for returning to York was to tour Castle Howard at Christmas time. 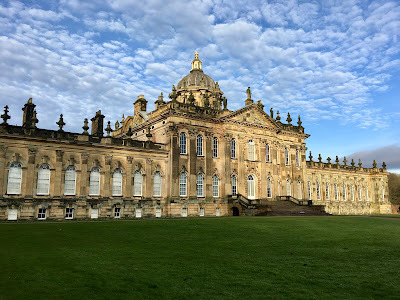 We took bus #181 from the Station Avenue bus stop near the train station directly to Castle Howard. 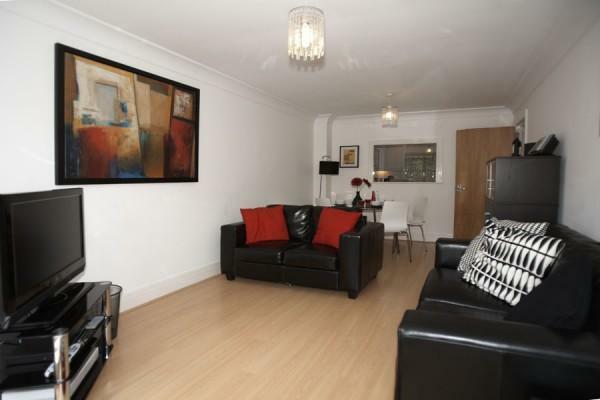 It took about one hour and cost £10 per person return. 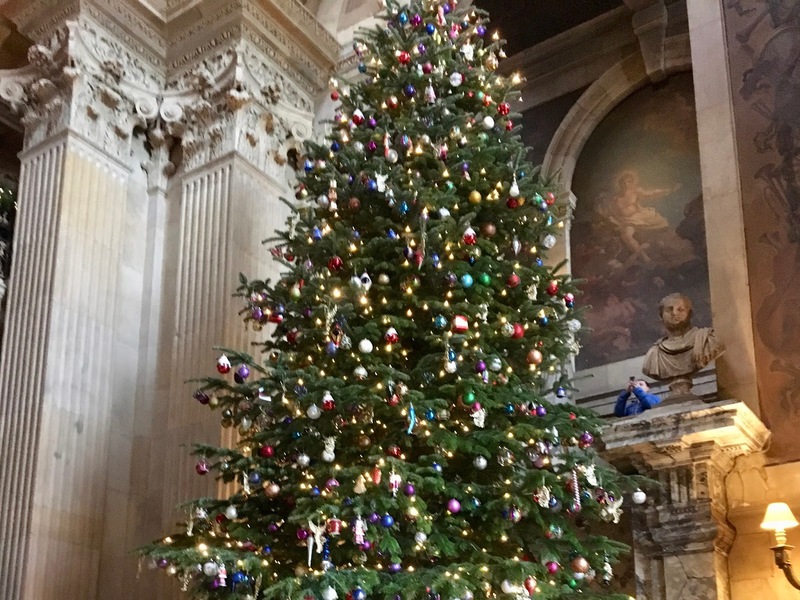 ...and the highlight for me was the giant tree in the main entrance. 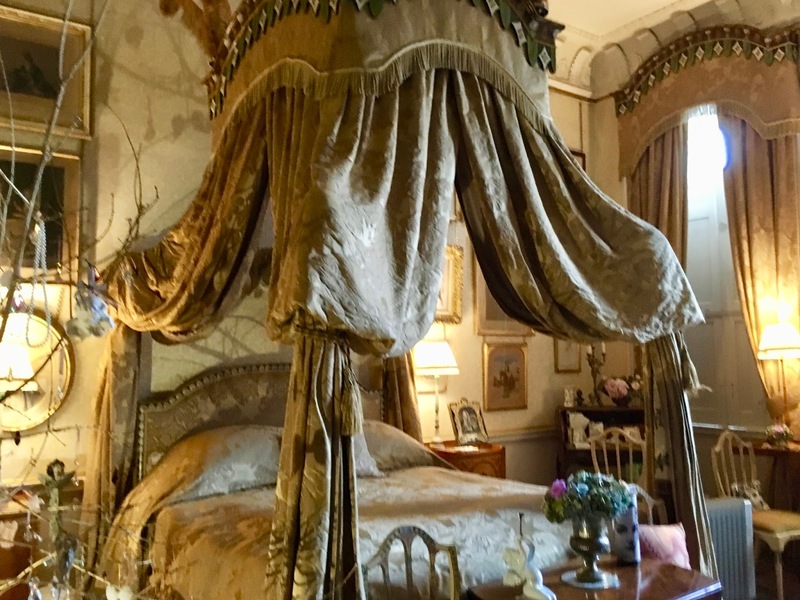 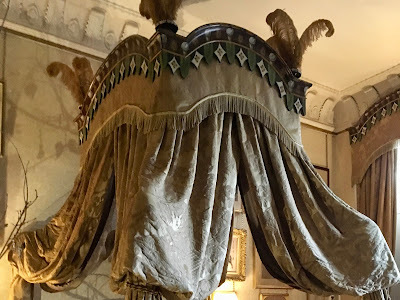 Other rooms were also dressed up for the holiday season including the lady's bedroom - notice the elaborate head dress. 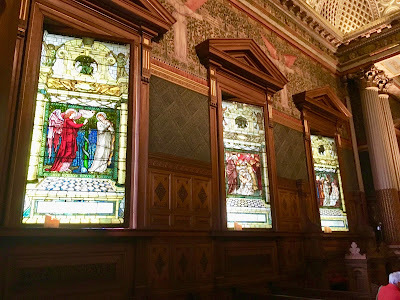 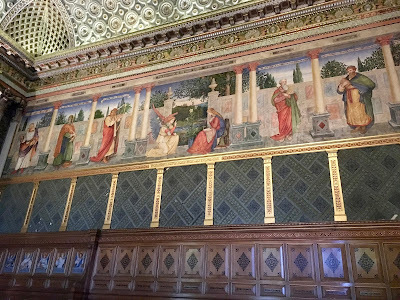 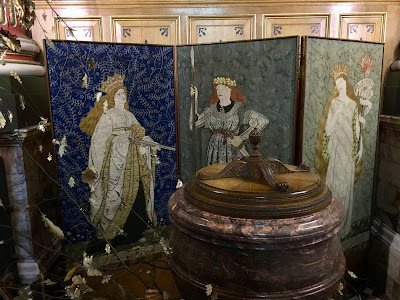 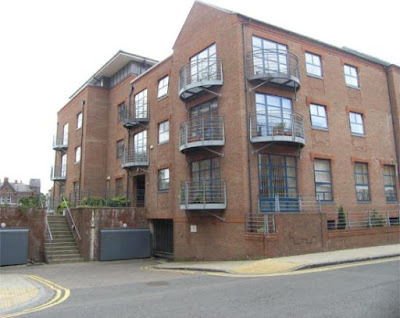 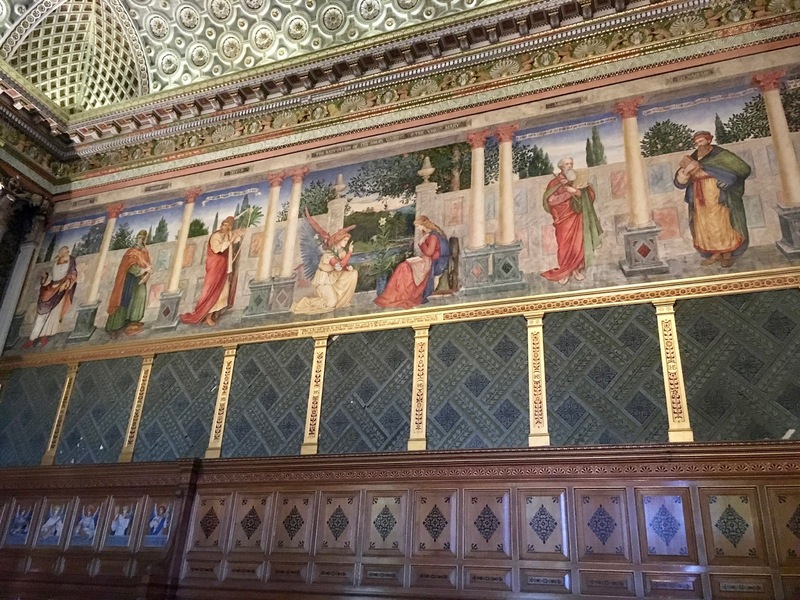 ...murals, William Morris tapestries and stained glass windows. 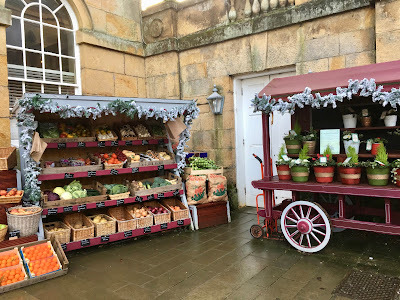 Even the exterior of Castle Howard was decorated for the season as shown below in the produce and plant market. 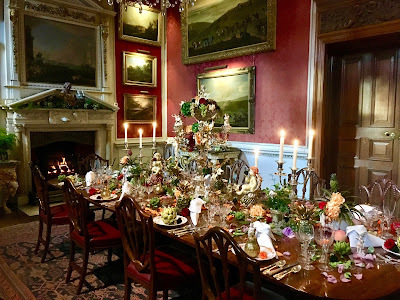 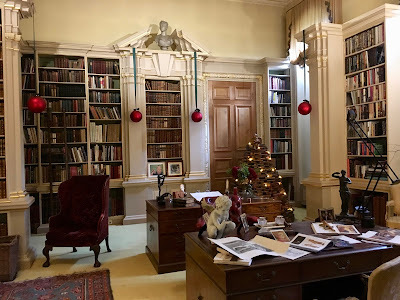 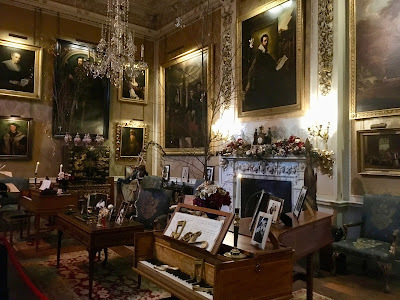 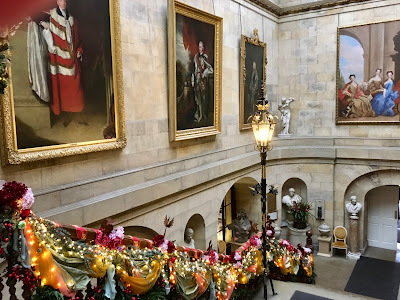 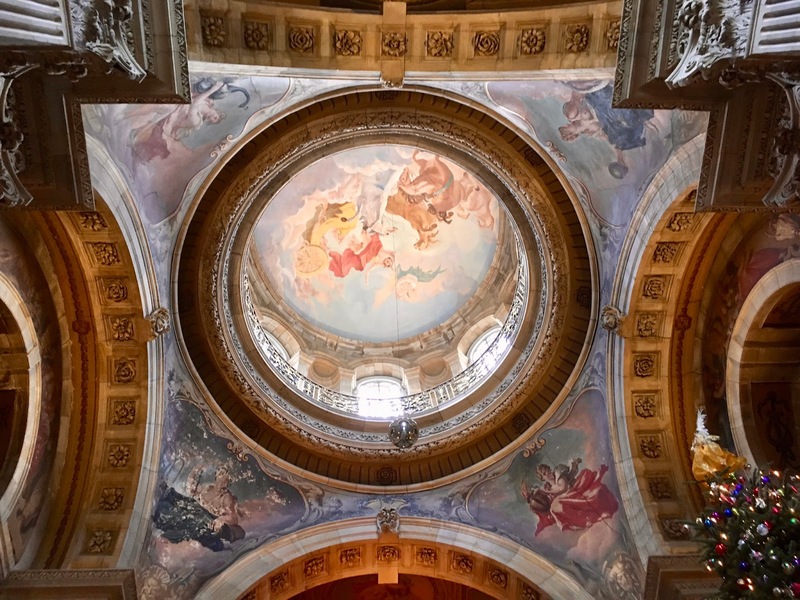 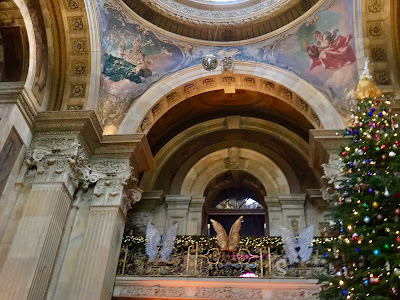 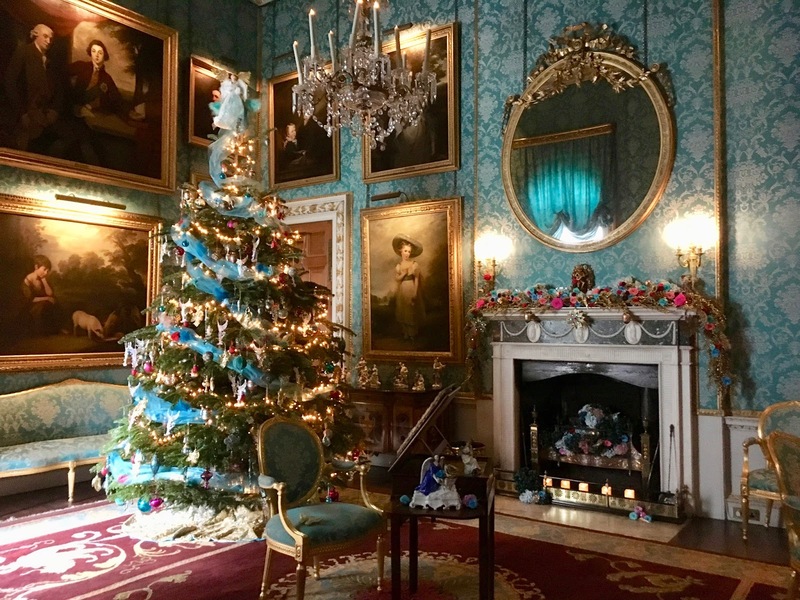 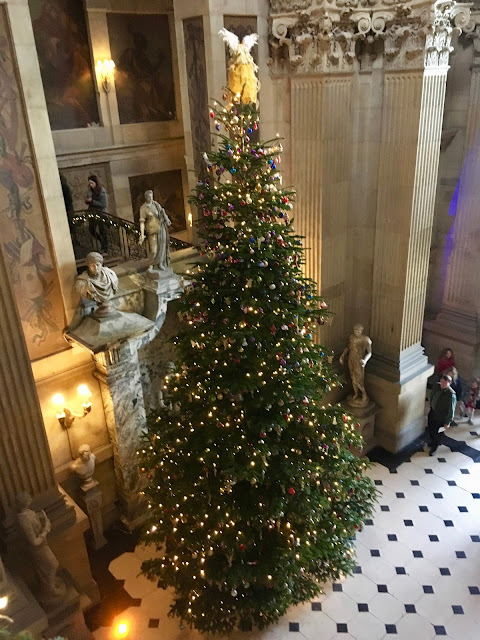 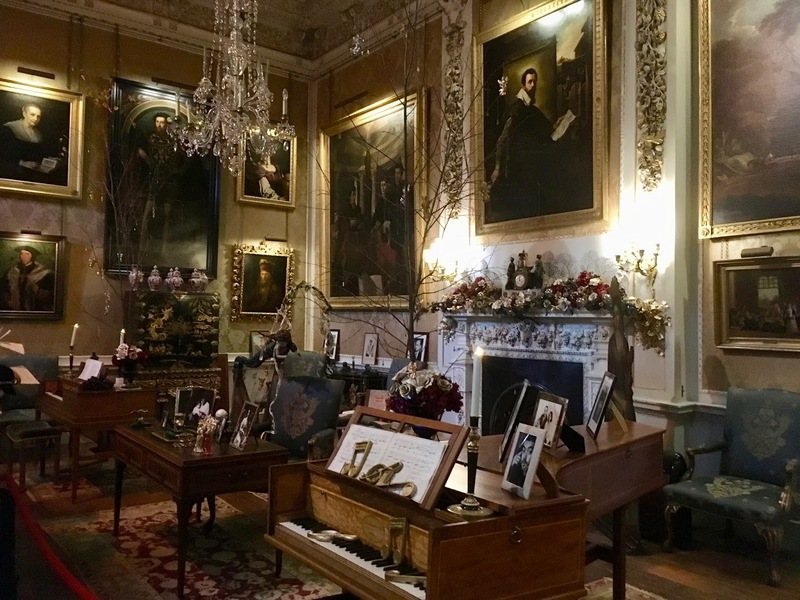 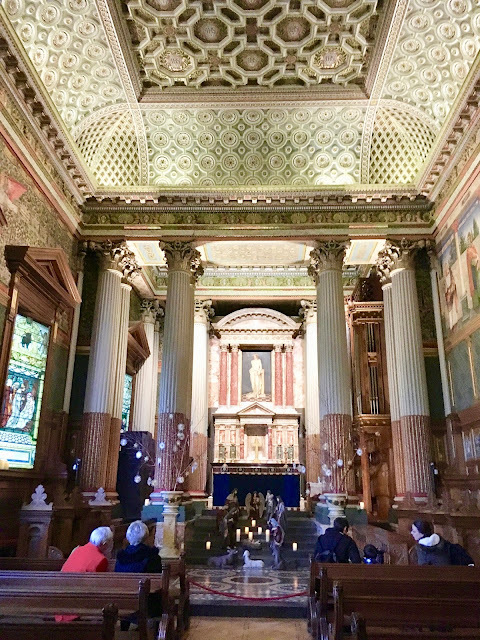 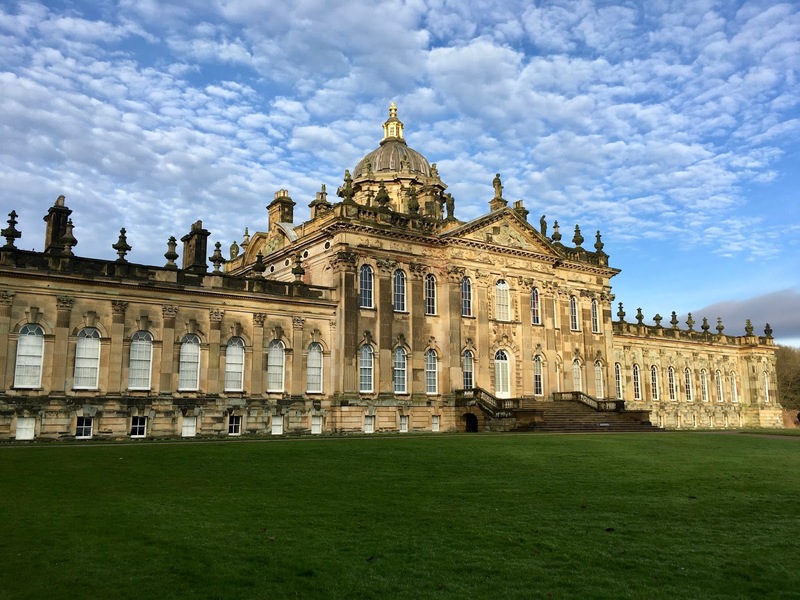 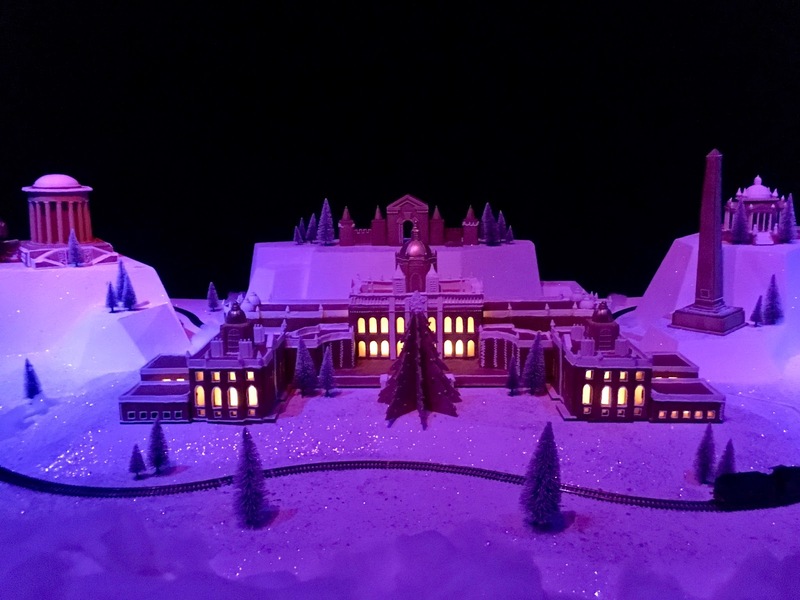 While the gardens of Castle Howard are open year round and the castle itself is open March through November, the Christmas season is a wonderful time to visit this remarkable home.